Languishing beside the shores of the Bay of Bengal, Pondicherry is a city juggling the colourful chaos of twenty-first century India with the reminders of a French colonial heritage that is still very much in evidence along its quiet, bougainvillea-lined back streets. Home to the internationally famed Sri Aurobindo Ashram and the New Age charms of Auroville, the city today presents visitors with an engaging mix of Tamil tradition, Gallic chic and Indian energy. But I wasn’t here for the sea air or the meditative calm. I wasn’t even here to engage with the ubiquitous motorbikes carrying extended families about their daily business. 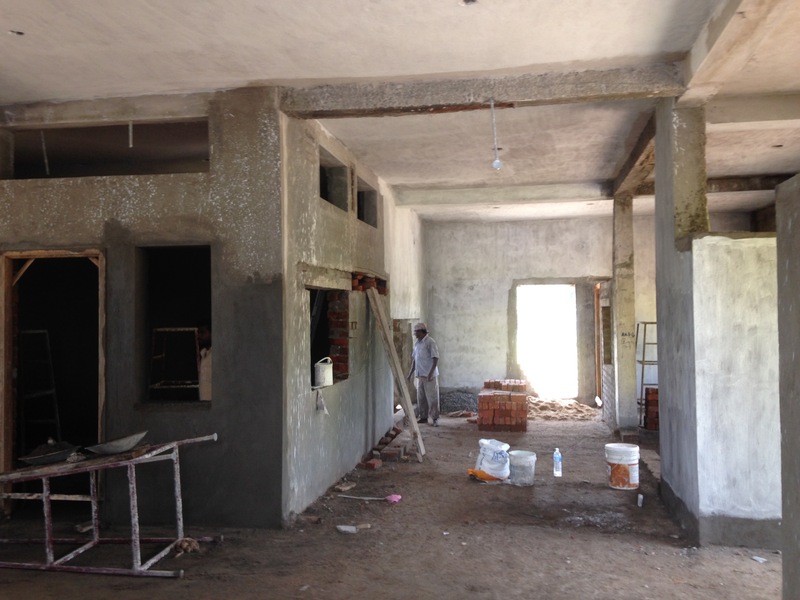 I had been sent to help two groups of volunteers build a school…a very special school. The origins of the Satya Special School go back to 2003, when the story came to light of a disabled girl of 13, who was tied to a chair and locked in a badly ventilated room for eight hours a day. But this wasn’t the case of a wicked mother who took it upon herself to lock her child away from the prying eyes of an unsympathetic world. This was a case of a hard working woman who had no means of support and was forced to work all day to support herself and her daughter, forcing her to leave the girl a prisoner in her own home. Sadly this is not a rare exception in India, the plight of the disabled across this vast country is mirrored by the case of this young girl and her mother. Children and adults alike are ignored and abused. There are estimated to be anywhere between 40 and 80 million people in India with some form of disability, with the poorest members of society worst affected due to limited resources and a lack of access to care services, education and employment. 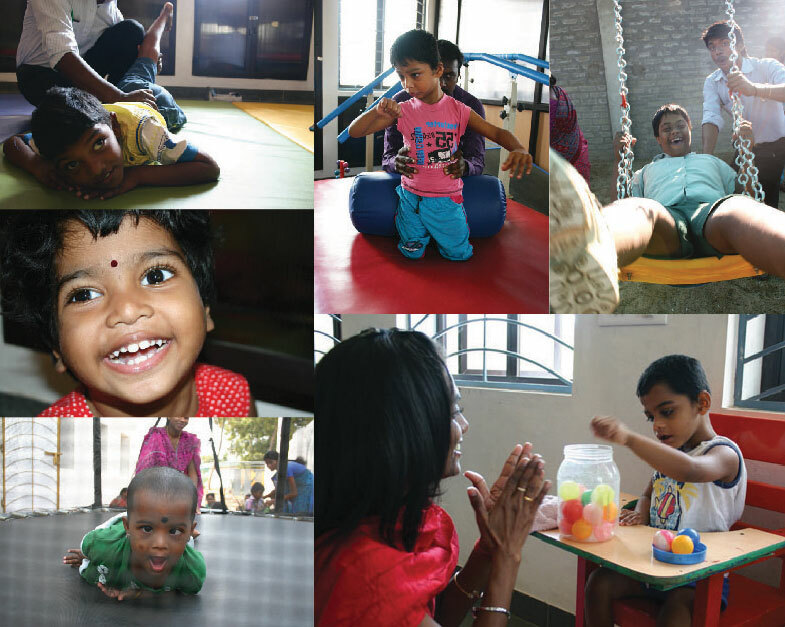 Fuelled by a desire to ‘reach the unreached’, Satya was set up to serve as an integrated centre for rehabilitation in Pondicherry, providing free rehabilitation services to the underprivileged and working tirelessly to alleviate the social stigma attached to these individuals and their families. Currently they cater for nearly 440 children with special needs, working in five different centre and operating a mobile therapy unit that covers some 44 rural communities and helps over 124 disabled children. The project that I was out here to work on was spearheaded by two remarkable women…Ms Bindu Modi, a leading child counsellor with a masters in clinical psychology and Ms Chitra Shah, a qualified social worker specialising in family and child welfare. In a country where women are often treated as second-class citizens, these two inspiring ladies were a positive beacon of hope. 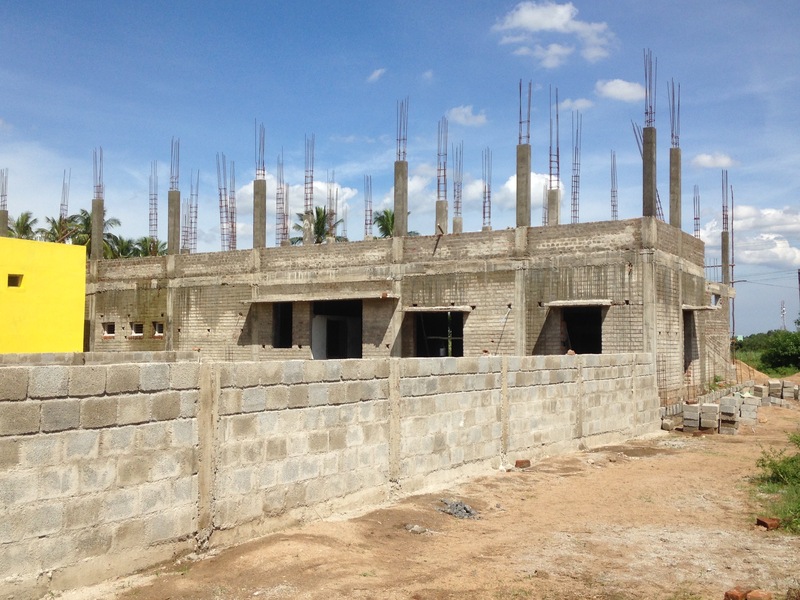 Located in the small village of Kodathur, about an hour’s drive from Pondicherry, the project was to be a new rehabilitation centre catering for up to 100 children. The village lay close to the site of a chemical factory that had been less than circumspect with its safety measures, resulting in a high instance of disabled births amongst the population. Chitra had been approached by one of the village elders, who had heard about her work with Satya, and asked if they would be interested in building a school on a site close to the village. The land was donated for free and, once funding was in place for the materials, the go ahead was given to begin the build. And this is where I came in…or rather the two groups of volunteers from Santander and Bodyshop, who had raised the funds and were now in-country looking to put their office-based skills to good use. Under the watchful eye of myself, a local construction supervisor and a team of Indian masons and labours, we set them to work digging foundations, sifting sands, rendering walls and moving enough bricks to construct the Tower of Babel! In temperatures topping 40 Celsius, they laboured in the heat of the Indian sun. They shed blood, sweat and tears and went home with more blisters than they had probably ever had in their lives. 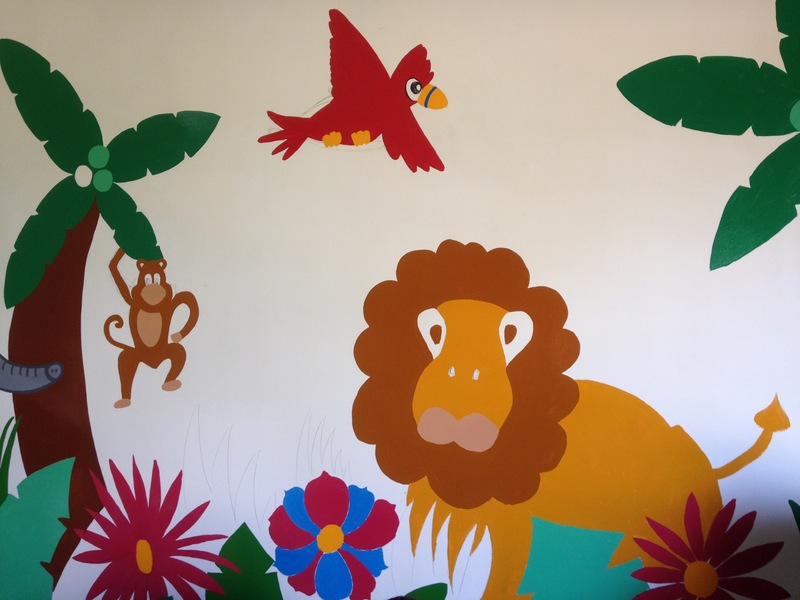 In a Hollywood movie, the final scene would have shown them wheeling and walking the kids into gleaming new classrooms, with walls adorned with gaily painted murals. Real life isn’t quite so choreographed though and truth be told, what they left behind still looked a lot like a building site. However, the work put in has pushed the project along massively and the projected finish date is now sometime in January of next year. Aside from than that though, they have left behind more than just the bricks and mortar. They have left behind hope, and a realisation that the plight of the disabled in India is no longer something to be locked away in a dark, airless room, but rather something that communities can embrace and become a part of. Attitudes are changing, and we certainly saw evidence of that during our time there. We worked alongside fathers who’s children would be attending the centre. We saw with our own eyes the progress being made through physiotherapy, occupational therapy and the adaptation of dance, music and art therapy. …And we saw the smiles of the children. Satya’s work will continue. They will carry on trying to improve the quality of life through education, health care and rehabilitation. Their vision, to change the current fragmented system of rehabilitation and care will, hopefully, continue to change the lives of the physically and intellectually challenged for the better. And their belief in charity through dignity will, I hope, continue to eradicate the stigma attached to the disabled.